Our readers take a look at the changes set to shake up the industry in 2016 and beyond. For the first time ever, we have 5 generations in the workforce. As people increasingly choose to work longer, the industry will benefit from retaining expertise in the workforce. However, having a broader generational range at work will also result in groups fragmenting in terms of age, technical ability and attitude. Contact centre leaders of the future will need to focus on bringing these different generations together. Key skills will include promoting knowledge sharing and managing attitude change. Office space will be redesigned as contact centres begin to embrace the flexibility enabled by the cloud. From homeworking to the introduction of standing desks, contact centre agents will be untethered from their cubicles. We will also see the emergence of activity-based office space, where agents will be able to move between different work spaces depending on the needs of their activity. For example, sitting in a soundproof booth in the morning to handle video chat, before moving to an armchair in a communal workspace in the afternoon to handle webchat. There will be an increased focus on intuitive, easy and fast systems, removing the need for agents to learn how to manage multiple, complex systems. Smart pop-ups will also become the norm, including all the information an agent needs to resolve a customer query. In the event that an agent requires assistance, new tools will enable an individual to collaborate with their colleagues and receive an answer from the “resident expert” during a live call. The cloud will untether supervisors from their workstations. They will have the freedom to manage their team from a remote location, while accessing bites of valuable data about their agents’ individual strengths and challenges – rather than having to skim pages of reports for useful insights. They will have the tools to be able to change the interaction flow based on circumstances too. Management teams will also be able to access and analyse big data, which will enable them to personalise the customer experience. Brands will try to go fully AI in the way they tried to offshore. However, I suspect the public, who call because they want to talk to a human, will pull the trend back so that there is a measure of both options in the industry. Improvements to knowledge management and agent desktops will reduce the need to recruit tech-savvy agents. Instead, we’ll focus in on soft skills such as empathy and conflict management. Certain environments are already starting to do this with human-backed virtual agents. We’ll start using less aggressive outbound dialler strategies and show more respect to potential and existing customers. Self-care options such as apps, online and IVR systems will be capable of handling the more transactional queries. However, nothing will ever take away the customer’s need to speak with an agent, as humans can pick up on things no computer or system can. Very soon Artificial Intelligence will take care of everything. Only complaints will be escalated to a human, much like they’re escalated to a supervisor now. Text-based channels such as webchat and social media will become more prevalent in 2016 and beyond. We’ll see an increase in overall head count and the introduction of webchat and social media. 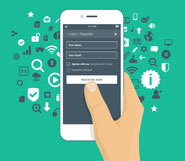 Social media and mobile engagement will become the norm. 2016 will bring much better collaborative working – with access to cloud services being more and more commonplace. 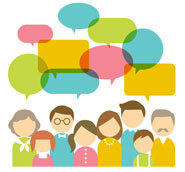 Customer preference will drive the uptake of webchat, Twitter and instant messaging apps. This won’t only be for customer support, but also for sales and bookings – with higher demand for cross-platform contact management software. Today, call centre agents still handle the more complex problems, while technology is increasingly handling simple, repetitive tasks. 5 years from now, however, machines will be better at handling the complex problems than humans. Once robotic agents pass the Turing Test, it will be Artificial Intelligence all the way! Agent–customer conversations which focus heavily on the use of a script are most likely to be automated in the near future. The use of knowledge management, the process of gathering, analysing, storing and sharing information, is set to rise. Suggested answers and search intelligence will be fed to both agents and customers depending on the channel, to help them find the information quickly, enhancing the customer experience. Alongside this, new technologies that can read natural, conversational language will lead to high accuracy inquiry hits, meaning customers avoid having to ask specific questions or spending unnecessary time searching. Advanced natural language interactive voice response (IVR) is now coming of age, making the recognition of required information more efficient and more easily identifiable. Eliminating numbered choices in IVR also makes getting to the root of an issue much quicker – the stage of pressing a selection of numbers through long menus in order to talk to the right person is being removed. In the past, there has been a separation between the CRM and the call centre platform world – this is about to change significantly, with a number of the players beginning to blur between the two worlds. This is because the customer details are in one application (the CRM) which is often the key. Integration is going to get tighter and may even end up as one application at some point. 2016 will welcome a host of new technologies and capabilities, but one theme that runs through all of the above and other factors, which hasn’t been covered, is the introduction of a number of interactions being managed without the physical human. We are just at the early stages of these industry developments, but it’s where the market is heading. Video will be a key technology for contact centres in 2016, as agents increasingly interact with customers via video to deliver a more engaging and higher quality service, as well as a more personalised experience. Education and training will be at the forefront of the contact centre industry in 2016 as businesses become less siloed. For example, contact centre agents in banks traditionally played a completely different role from employees in-branch, but today they speak with clients much more frequently, a shift which represents an enormous sales opportunity as long as agents have the right training and resources to hand. 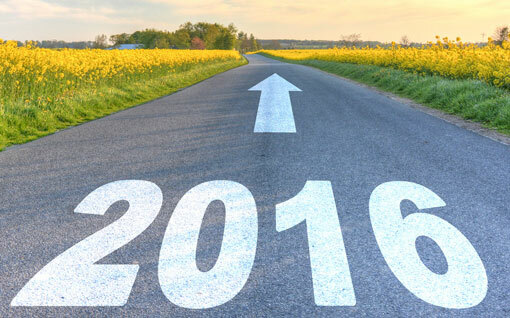 How do you think the contact centre industry will change in 2016 and beyond? Is there life beyond Erlang? hat often companies seem to forget is that the Contact Centre is part of the organisation’s brand (particularly in the case of Banks or other service industry). Your customer has a bad or even lousy service or bad sales experience using your contact centre, you are seriously damaging your customer journey experience and your company’s brand. Doing this with 1,000 of customers over time and your company’s reputations is in serious bad shape. It is time that service organisations, in particular, view Contact Centres as real assets to their organisation and treat their staff as such. The review of the whole end to end customer journey experience focusing on the multiple contact points within a contact centre, and the whole process and tools is absolutely critical to further improve customer’s view of the company’s service. It is also critical, in the case of support contact centre to identify, understand and find a way to eliminate upstream most of those calls. I think this will play a very big role in 2016 and beyond. Pricing models will shift from unit cost (per call/per hour) toward share of life-time values as real-time outcome transparency between vendor and client, with our ability to crunch ‘Big Data’ more quickly, increases. And, alongside this, skilled analysts within businesses will become increasingly important. We all need to shift to start recruiting for personality and not skills. Voice contact especially will become more complex as the transactional queries are eradicated and/or automated. The AHTs will be long and the agents will need to be decisive and resilient to ensure they provide a low effort experience at minimal cost. The AI options really depend on what kind of call center you have. 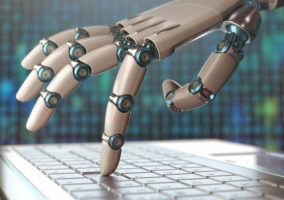 Helpdesks, and technical support will always have to rely on humans as it requires a kind of creative thinking that we cannot replicate with computers. However, simple queries, password resets, balance enquiries – things like that, I believe will soon be almost 100% human-free.